Yoga can be practiced anywhere. Yoga is great for traveling photographers hunting for images of interesting people and writers looking for inspirations. People photos are a great way to tell fascinating stories, capture unique moments, remember the history and understand the present. Yoga is a traditional system of healing for the mind and body, but also it is a great opportunity to appreciate amazing, active and healthy people, like Michelle Lou Lan, an author of MeshYoga system, a creative yoga instructor, who believes that yoga means union of mind, spirit and body, and encourages people to enjoy yoga exercises. Yoga transforms bodies, cleanses of toxins and improve muscle tone and blood circulation. Yoga helps stay flexible and energetic while traveling around the world. Yoga inspires and allows to stay healthy. Yoga provides amazing opportunities to take pictures that celebrate the human body. These photographs of yoga poses look like photography artworks that bring old Indian traditions into modern life. It is enlightenment. and spiritual practice evolving for more than 5,000 years. Yoga people photos are symbols of vitality and strength, and inspirations for all. These yoga pictures are spiritual and amusing, reflecting healthy body, happiness and peace that comes from within. These beautiful images say everybody has the right to be happy. Your body’s health and your mind are directly related to your inner peace. Striking yoga poses demonstrate amazing ability of the body to change and improve. Practicing yoga people make photos feel amazing, giving hope and taking the negative thoughts away. Every disease and sickness is considered nothing more than an imbalance in the natural harmony of the body and mind. 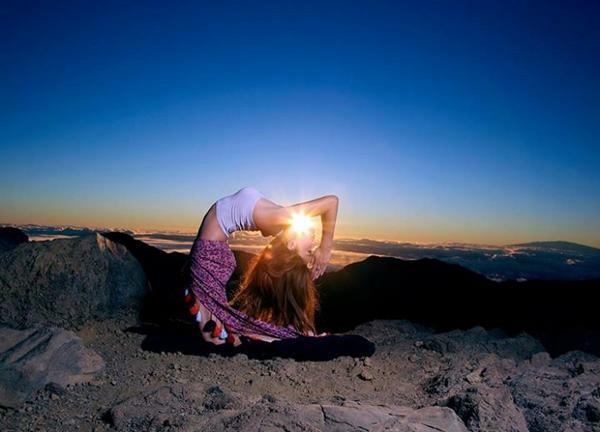 Restoring this balance leads to true healing, that is why yoga people photos are so inspiring. Yoga is very popular worldwide. Beautiful and healthy yoga people on photos help realize the importance of self-contentment, inner peace and strong body. Yoga can help lose weight and stay slim. It lets you tune in, chill out, and shape up, all at the same time. Yoga poses give amazing opportunities for taking fantastic people photos. Yoga is great for your body, mind, soul and photography art.